Value investing is a type of an investment strategy where stocks are selected based on their intrinsic value. Value investing focuses purely on the fundamentals and is considered to be an art, although various methods have cropped up over the years. For many investors, value investing has often been a subject of mystique. Benjamin Graham is considered to be the father of value investing and this art of investing shot to prominence with Warren Buffett, who is one of the more famous students having learned the art of value investing directly from the guru himself. Graham was a British born American economist and a professional investor and he began teaching in 1928 at the Columbia Business Schoool and has published various books. 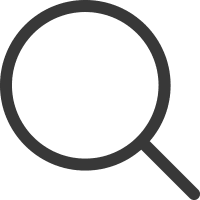 At the core, value investing is all about looking for companies that are incorrectly valued by the markets. Stocks picked on the basis of value investing typically have strong fundamentals which includes earnings, dividends, book value among other things which determine the "quality" or give the stock the so called intrinsic value. 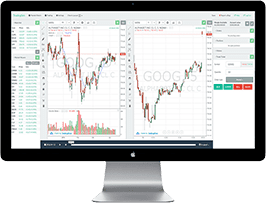 The actual stock price typically trades at a discount to its intrinsic value. Value investing is nothing to do with the simple picking stocks that are trading at the bottom but has to do a lot more with the fundamentals and of course the confidence in one's analysis. Value investing requires a bit of a contrarian approach to the markets and also requires the investor to hold on to the stocks over a long period of time. One of the most commonly asked questions about value investing is why a stock would be trading at a discount in the first place. There are many reasons for this. 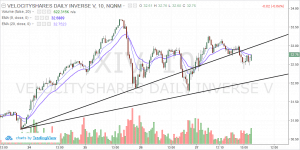 From the short term disappointment in the stock to particular news that evokes strong emotional response from other investors, a stock's price can fall for many reasons. An important distinction to make here is that when we say that a stock is trading at a discount, it doesn't mean that the stock price is near the bottom, but rather, the stock price is trading at a discount to its intrinsic value. For example, if the share price of ACME Corp, a fictional company was trading at $200, but its intrinsic value was determined to be $800, it is considered to be a value investment stock that is trading at a discount (compared to its intrinsic value), although by few other metrics, the stock's price might look expensive. 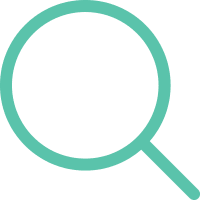 Value investing is called an art because it is difficult to pin-point one or a few factors or criterion that can be attributed to filtering stocks based on value investing. For one, value investors believe that most businesses are long term in nature and the daily or even quarterly volatility in the share price are just that, short term. Secondly, value investors recognize the fact that a company's profits tend to revert to the mean over time. This second fact is however a bit subjective. There are examples where the share price of a stock fell and continued to fall until the company went bankrupt, and there are nearly the same if not more stocks which continue to rise not showing signs of any mean reversion. At the two extreme ends of the scale are names like Enron, Lehman Brothers on one end and Microsoft or Amazon on the other end of the scale. If you are new to value investing or simply want to enhance your knowledge in order to pick up some tips from value investing that could help your current portfolio, here are five books on value investing worth reading. 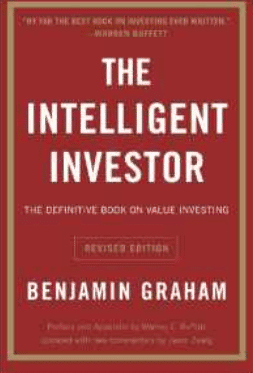 No list of value investing books starts off without mentioning The Intelligent Investor. The book was published by Benjamin Graham in 1949. Benjamin Graham, known as the father of value investing gives an excellent insight in this book with some considering the 1949 publication better than the 1934 publication. Graham has also published many other books such as Security Analysis. The Intelligent Investor doesn't give many details on how to pick a stock using value investing but rather teaches some principles that can be used by investors. Some consider it to be an investment policy book for the ordinary investor with hard concepts being put in simple to understand terms. The Intelligent Investor is also one of the top sellers considering the fact that Graham's most famous student was Warren Buffett who calls is it "the best book ever written on investing." Besides Buffett, other famous students of Graham are Walter J. Schloss, Irving Kahn. Besides value investing, the Intelligent Investor also talks about risk management, how to maximize the probabilities through valuation analysis and creating a margin of safety and teaches you how to maintain a disciplined approach to minimize portfolio errors. These topics can help the average investor to learn something new that they can apply to their existing investing strategies. The Little Book that beats the market is one of the most widely recommended books to read for value investors. The book claims to teach you in two hours on how to double your returns, something which even two years in an MBA school won't teach. For a book that makes such tall claims, the Little Book that beats the Market does indeed stand up to the claims. The writing style is easy to read and the thirteen chapters are indeed sectioned into different themes. For example, the first chapter starts with a story of a buy selling bubble gum on a playground and the author and his son start by putting a value on a business. The chapter ends with showing the importance of valuating a business as the key to investing. As the chapters flow by, you are treated to more interesting stuff such as risk free investment opportunities. 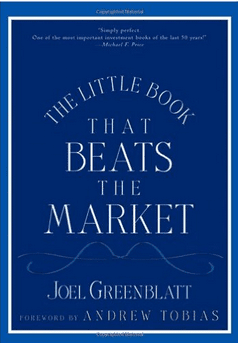 By Chapter 4, Greenblatt starts talking about Graham's concept of "Mister Market" and how to buy when you think that Mr. Market's price is far lower than what you value the business to be at. Many readers of the book claim that the real meat is in Chapter 5 which brings two main investing ideas. Higher earnings yield is better than a low one and companies with high return on capital are better than ones that aren't. While these can be passed off by a seasoned investor, the Chapter 5 makes for a good read or a refresher course on investing. The little book also has a certain "Magic Formula" which is a stock screener based on P/E ratios, return on capital and so on, most of the concepts that are already dealt with in the book. 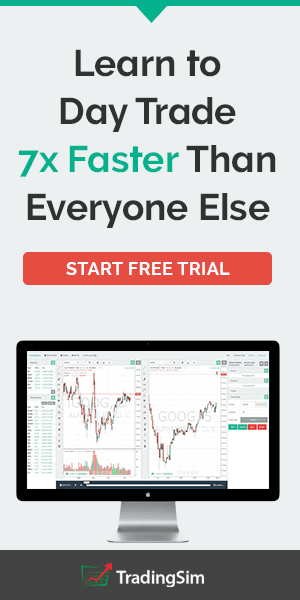 The author, Joel Greenblatt also runs a website by the same name which offers a stock screener based on the methods described in his book. The Little Book of Value Investing as one expects if you have read other titles under the "Little book" series is a light hearted read. 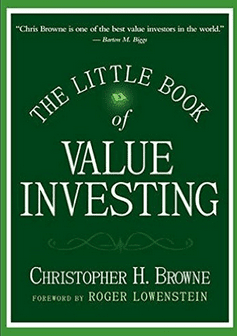 So if you find The Intelligent investor to be a heavy read, then The Little Book of Value Investing by Christopher H. Browne is a good place to start if you want to get right into value investing. The book opens with the notion that buying stocks is akin to supermarket shopping. Investors are usually attracted to the well packaged glamorous stocks similar to products sold in the store. However, there are some investors who go in and look for items on sale and present the best value for the buck. The Little Book of Value Investing in essence opens that growth investors are ones who look for products with a buzz while value investors are people who compare the cost of green beans. The Little Book of Value Investing offers a lot of investing tips and advice which can be useful even if you find that value investing is not your trading style. For example, a good portion of the book speaks about how to diversify your stocks and how to create a margin of safety when investing and how to set an appropriate margin of safety for the stocks that you pick. 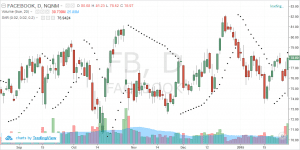 The Little Book of Value Investing also touches upon the widely known fact about following insiders of a company who have significant holdings. Chapter 8, deals with more details on how you can follow some patterns of insider buying and selling to get some perspective on the stocks. 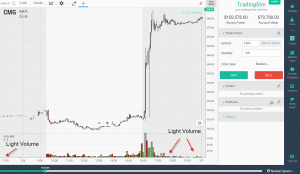 The Little Book of Value Investing gives you a near step by step approach on how to pick the right stocks, what companies to avoid and how to further short list the stocks from the methods outlined including focusing on some of the fundamental metrics in the stock picking process. The Warren Buffett Way is a book authored by Robert G. Hagstrom and has garnered some top notch reviews. Published in 1997, the book remains one of the top sellers. Hagstrom is a principle in a Philadelphia investment firm and is a professional investor. In the book, The Warren Buffett Way, Hagstorm gives a case study of Buffett's major investments and provides insights into the qualities of the company that were invested in by Buffett. 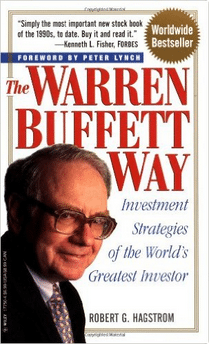 Interestingly, Hagstorm did not interview Buffett when writing this book but had obtained permission to quote from the Berkshire hathaway annual reports and gives a rather detailed outlook into the Buffett's way of investing. The Warren Buffett Way begins with the first to chapters introducing the reader to Buffett's early life and education and also focuses on Buffett's first investing lesson he learned early on at the age of 11. The book then continues the journey to the time when Buffett started reading The intelligent investor. 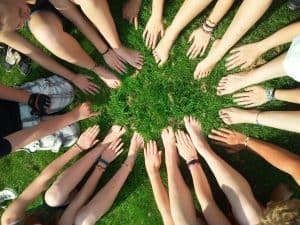 The book also attributes others such as Charles Munger, Buffett's long time business partner as one of the biggest influences in his investing style. The Warren Buffett Way offers some important takeaways that can be applied to any type of investing thus widening its reach and appeal. The business, management financial and market tenets offered in the book give some incredible insights into how you can research and ask the right questions when you want to invest in a particular stock or a company. 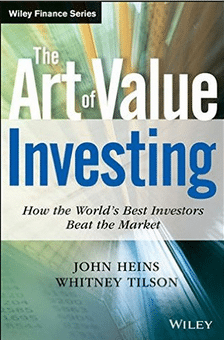 The Art of Value Investing published in 2013 and authored by John Heins and Whitney Tilson is a comprehensive book if you want to delve deep into value investing. Think of The Art of Value Investing as a value investing manual which covers different aspects of investing with a focus on value investing approach. The Art of Value Investing is a thoughtful compilation of the best investment insights based on numerous interviews with different investing professionals on Wall Street. The Art of Value Investing is suited for investors who are just starting out with value investing and as the chapters’ progress, the book progresses into covering topics suitable for professional investors as well. Bill Ackman of Pershing Square capital calls The Art of Value Investing an A-to-Z of value investing. John Heins and Whitney Tilson, the authors of The Art of Value Investing is a co-founder of the Value Investor Insight newsletter and combine their experience into the book. The Art of Value Investing is a recommended read by the CFA institute. Some go as far as claiming that The Art of Value Investing has all the secrets to investing successfully. The above five titles are just some of the many incredible books when it comes to learning how to value invest. But as with any thing, putting the knowledge into practice is essential. To be successful with value investing, one needs to have patience and the willingness to learn. Due to the long term nature of value investing, investors new to this style of investing can often get frustrated. However, one the best ways to get started with value investing right away is by incorporating some of the nuggets of wisdom that are found in the above mentioned value investing book that can make an immediate difference to your investing portfolio.